Up for an adventure? 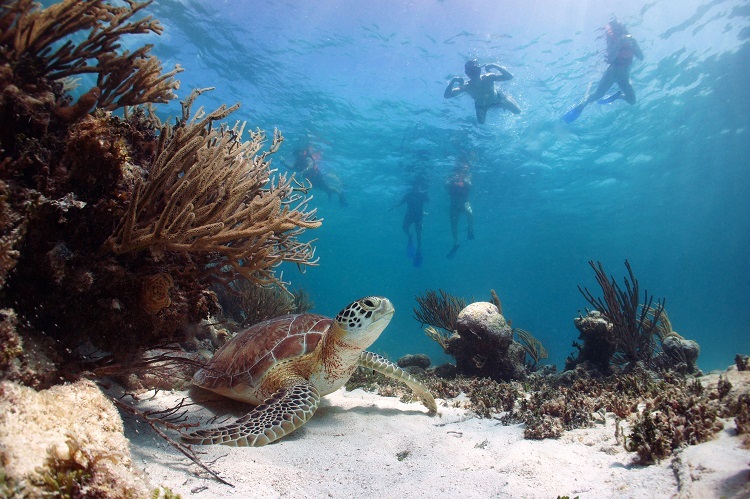 Secrets Akumal Riviera Maya makes the most of this phenomenon by offering guests the chance to swim alongside these magnificent animals. Get face-to-face with these magnificent animals to have the trip of your lifetime! 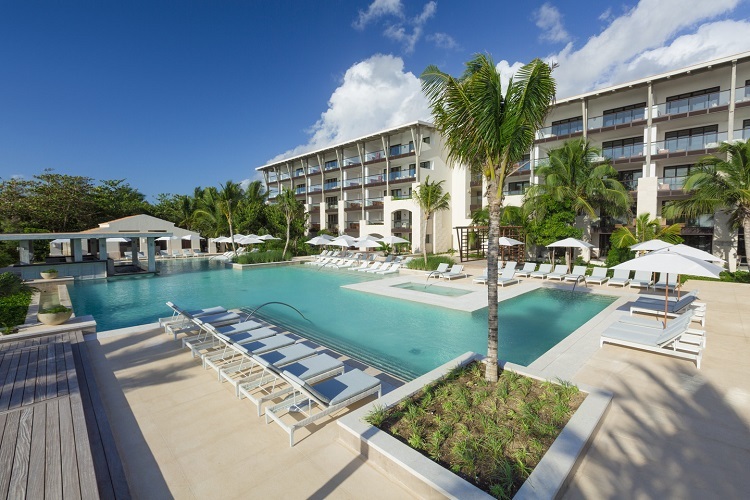 The kid-friendly Nickelodeon Hotels & Resorts Punta Cana offers a variety of amenities that appeal to both young guests and the young at heart. 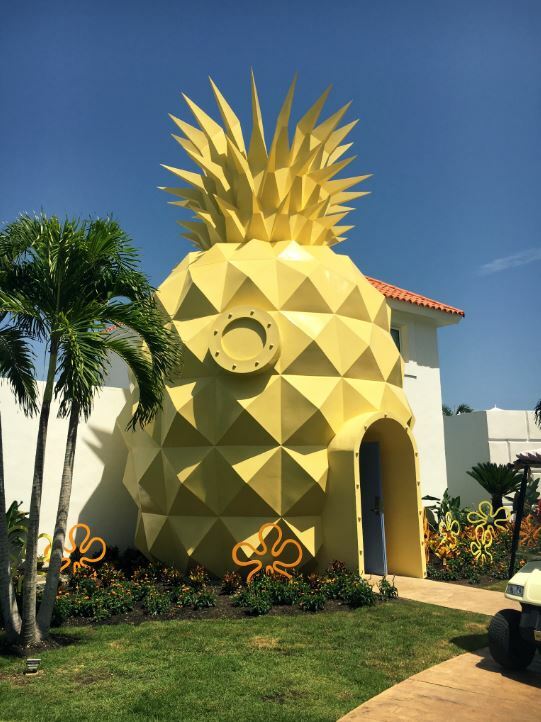 Your kids will have a blast in the Pineapple Villa, which provides the full SpongeBob Squarepants experience! From the outside, the structure resembles a pineapple. Inside, luxury rules with the villa featuring a smart TV, marble bathroom, and a play area. There’s comfort for everyone! 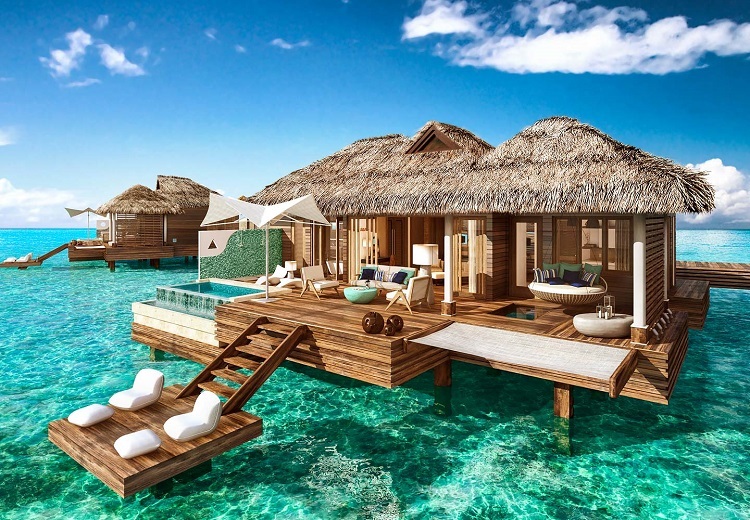 Forget beach-side luxury – at Sandals Royal Caribbean, you can enjoy an even closer relationship with the Caribbean by staying in an exclusive over-the-water bungalow. These Tahitian-themed over-water suites are undeniably romantic! Relax on a floating hammock or gaze through the glass floor. You’ll spend your entire vacation in awe. Honeymooners love Finest Playa Mujeres, which brings together culinary excellence and visual splendor in one memorable dinner experience, right on the beach. 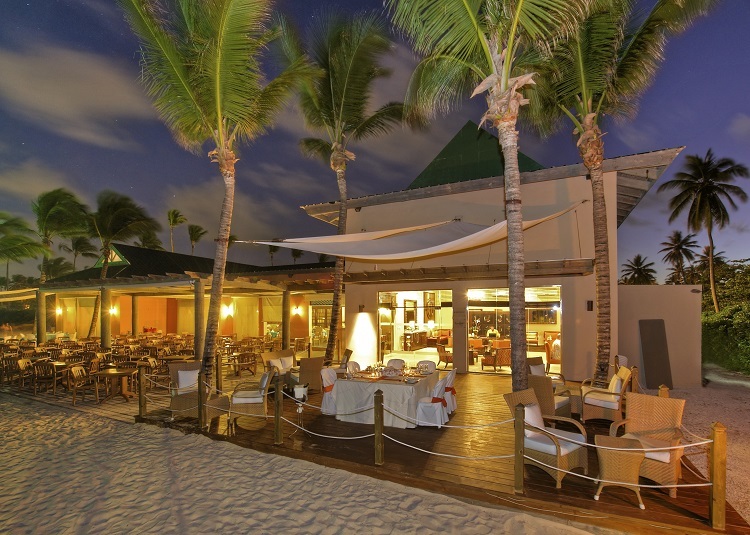 Let the sand bury your feet as you enjoy your dinner underneath the stars! There’s nothing wrong with relaxing on the beach, but if you desire a true cultural experience, you’ll find it at UNICO 20 87 Riviera Maya. This intriguing destination takes you far beyond the typical resort experience with cultural pop-up events, local drinks and more. Forget booking a resort suite — at CHIC Punta Cana, you can reserve an entire mansion. 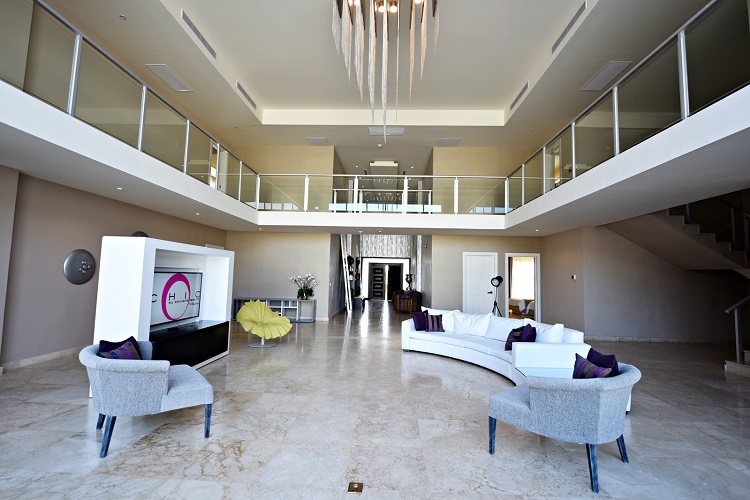 The resort’s luxury house is perfect for group getaways. Look out on the expansive pool from floor-to-ceiling windows or relax by the fully stocked bar, which features premium liquor. 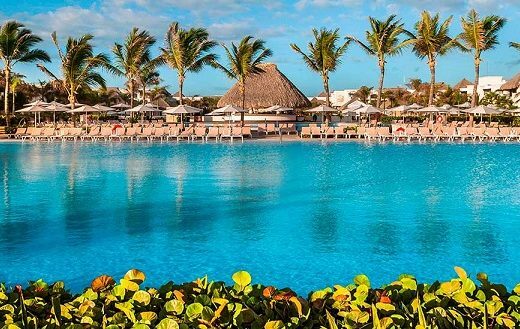 Let loose in the game room or head to Royalton Punta Cana to hang out at the water park with your best buds. If culinary excellence is a priority, you’ll definitely want to hit up Restaurant Row at Ocean Blue & Sand. There, you’ll find some of the world’s best resort cuisine. Take a stroll along the lit-up restaurants at night and choose from Asian, French and Italian cuisine — and more! You don’t need to visit France to experience the world’s greatest wines; you’ll find them all at Majestic Elegance Punta Cana, where a sommelier will instruct you in the fine art of wine-tasting. Several wines from the same region are offered alongside cheese, crackers and focaccia. 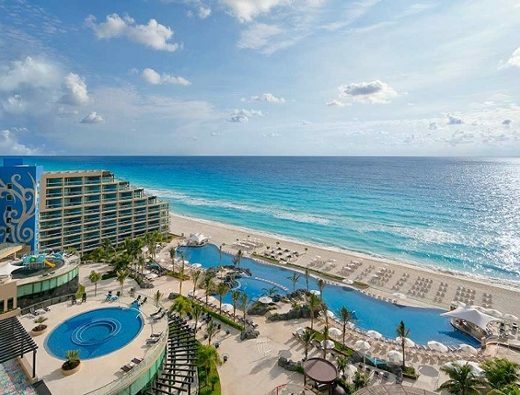 If you adore resort spas, you’ll feel right at home at Sandos Cancun Luxury Resort. Book a hydrotherapy session; this unique treatment harnesses the power of water to ease both stress and physical ailments. 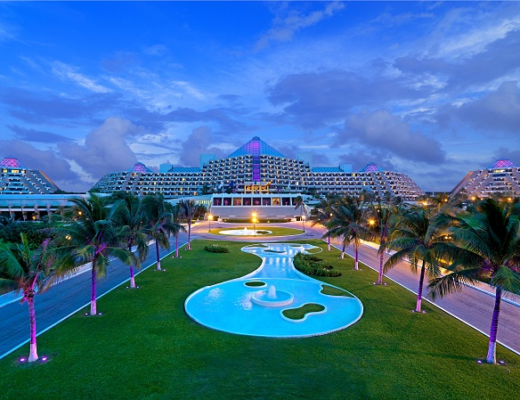 Sandos Cancun’s spectacular spa also includes immersion pools, steam baths and a solarium. You’ll be relaxed in no time! From wine-tasting to SpongeBob-themed housing, you can find just about anything at a destination resort. The experience of a lifetime awaits! For more inspiration on planning your dream destination wedding, visit our website or Pinterest! Great post without a doubt! A resort is a perfect place where families expect to spend their occasions or ends of the week for unwinding and diversion. Resorts are the ideal place for such individuals who can cheerfully invest energy with their families and furthermore getaway places for birthday gatherings and theme parties. What’s more, your rundown of things is truly mind blowing. Much appreciated!